Sitting all day may be a huge contributor to the rise in diabetes and heart disease. The average South African contributes over R500 000 in free work hours due to unused lunch breaks over their lifetime, a recent survey has shown. 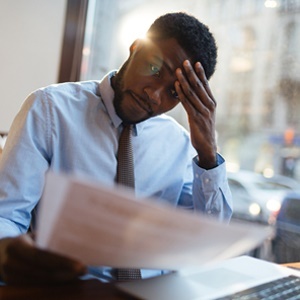 The research, conducted among 3 000 working South Africans by online job board CareerJunction, found that only one in three South Africans take their full lunch break. Moreover, it found that over a third of South Africans skip their lunch break altogether two to four times a week. "The average South African works two-and-a-half years of overtime during their lifetime due to unused lunch breaks. "That amounts to a staggering R512 465.00 worth of free work and unnecessary time spent at their desks instead of taking a break," said Odile Badenhorst, CareerJunction’s Communications Manager. The averages were calculated assuming a full-time working life from 18 to 65 years old, with 260 working days in a year. The income was calculated taking StatsSA's average monthly earnings paid to employees in the formal non-agricultural sector at R13 621 per month. CareerJunction said employees had an unhealthy belief that it was expected of them to skip lunch. "In this fast-paced world of work, it’s a common, and unhealthy, mindset that the more hours we work, with no break, the more we’ll be admired or rewarded," Badenhorst said. However, she added, the opposite is true – various research including a recent study by Tork has found that regular breaks, including a healthy lunch break, increase employee productivity, improve wellbeing, and boost creativity. "The Cost of a Lunch Break Survey confirms this; when asked how skipping their lunch breaks make them feel, most respondents listed unhappy, indifferent and stressed as emotions that accompany them when working though their lunch breaks. "So, why then, are we working ourselves until burnout?" CareerJunction said upon releasing the survey. According to the research, while the average lunch break allocated is 60 minutes, on average, South African employees take just 24.5 minutes. Just 5% of employees take their full hour. Although over two-thirds say their employer encourages them to take lunch, 19% say they nonetheless feel pressured not to. In total, 73% say they either skip lunch because they have too much work, or because unexpected tasks crop up. Over two-thirds – 67% – eat at their desks, although most workers do have access to a kitchen or seating area. And, since 45% say they spend under R100 per week on lunch – with the majority eating either leftovers or a packed lunch – it is perhaps unsurprising that 57% also say the availability of amenities such as shops, restaurants or delis have no impact on their choice of job application.